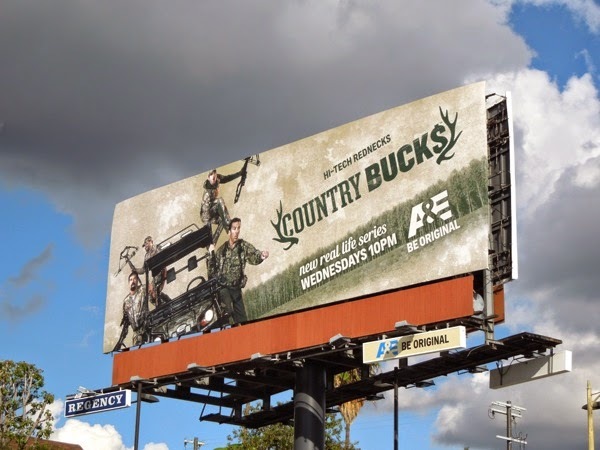 With the escalating salaries of the Duck Dynasty cast and with the show now in its seventh season, A&E must be desperate to find the next big reality hit, so enter Country Bucks (or Buck$ to play along with the series branding). 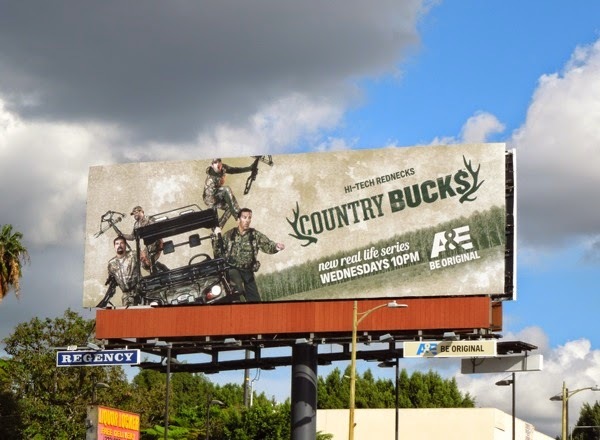 So move over Robertsons, there's a new redneck family in town with a multi-million dollar hunting business, and get ready to meet the Busbice family (who on first impression seem far more photogenic than their bearded duck-hunting business competitors). 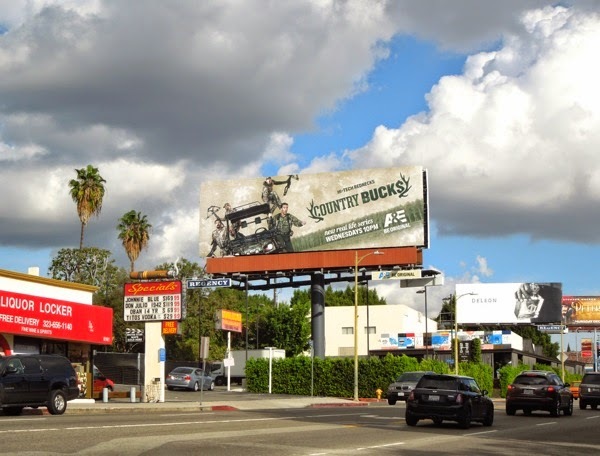 This action-packed series premiere billboard for Country Bucks was snapped along Sunset Boulevard in West Hollywood on a very stormy December 4, 2014. 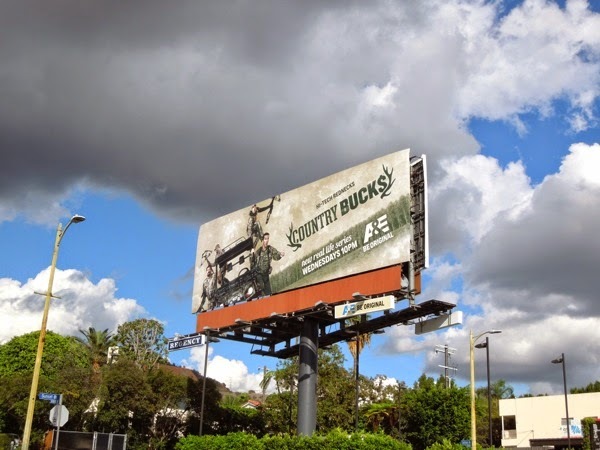 If you like this ad creative, be sure to also check out these A&E billboards for Duck Dynasty from seasons past.